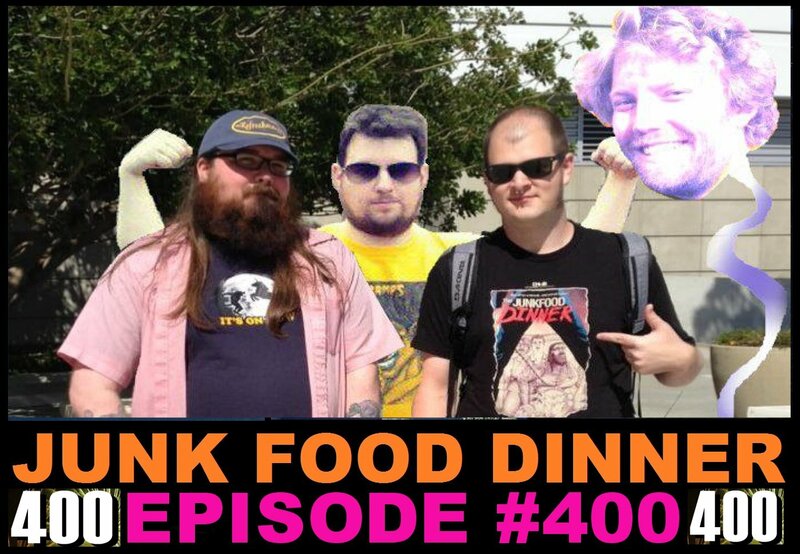 The 400th episode of Junk Food Dinner is here! We're joined by our brother Freado to discuss the secret origins of Junk Food Dinner. What movie were Mark and Kevin watching together when they decided to start a podcast? And how did Parker get involved? And how much did Sean have to threaten Mark to quit? All this and more! We also talk about Peppy LePew, get some very nice junk mails and pay tribute to our three favorite JFD callers. Then we're joined by Mike from VRTL Pros/Kissing Contest/Buncocky to induct some of our favorite people, places and things from the last 8 years into the Junk Food Dinner Hall of Fame.